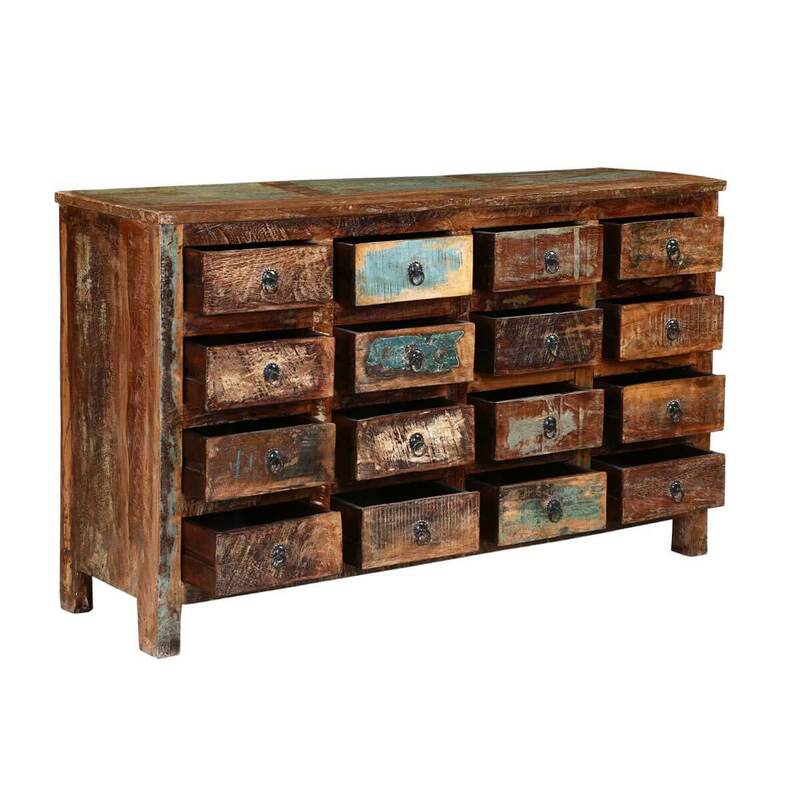 It’s easy to stay organized with accent furniture designed for your unique life style. 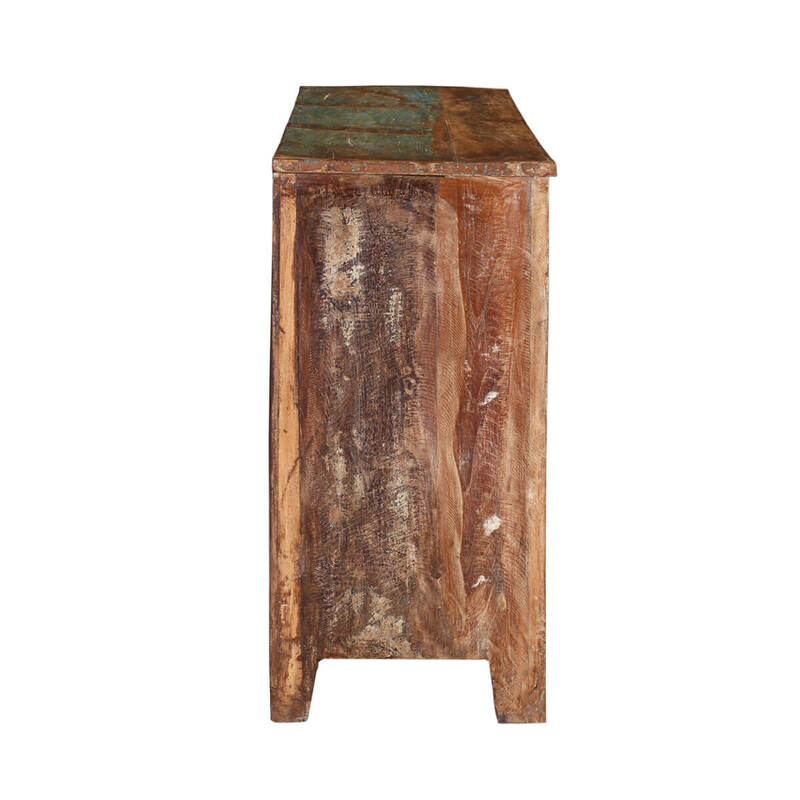 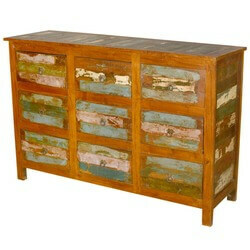 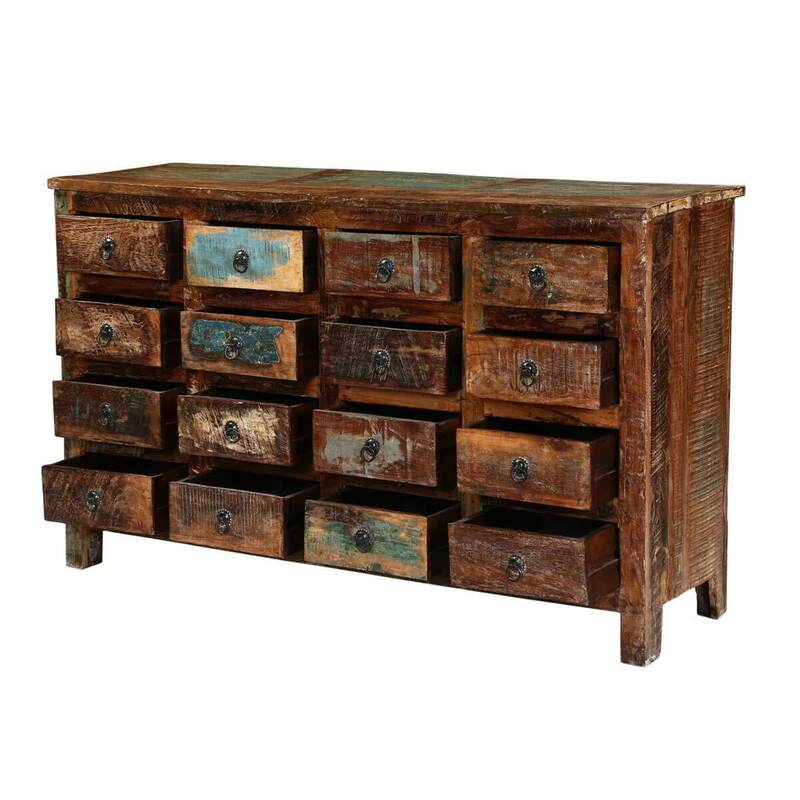 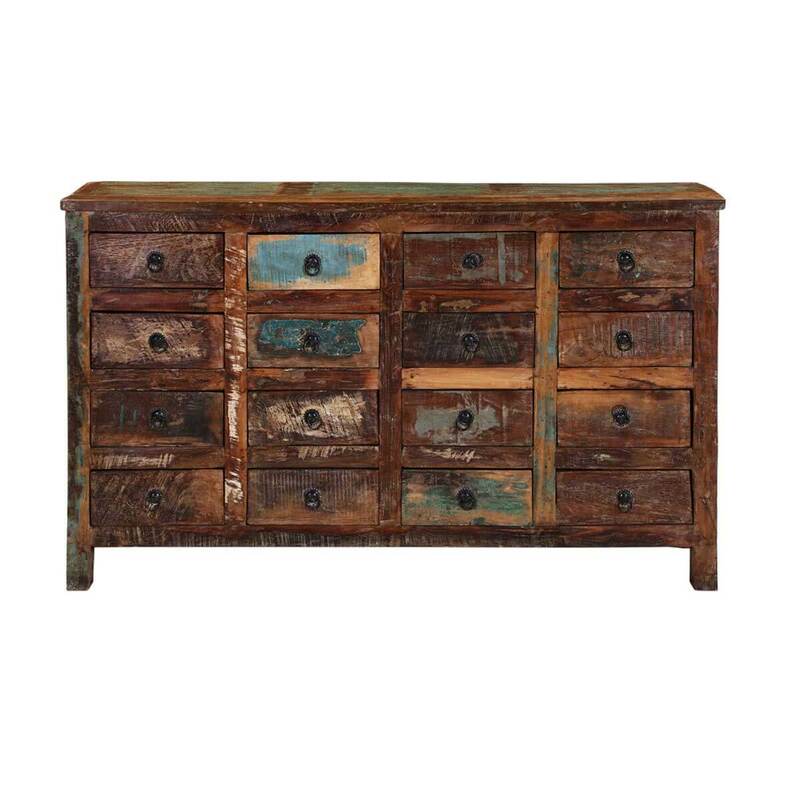 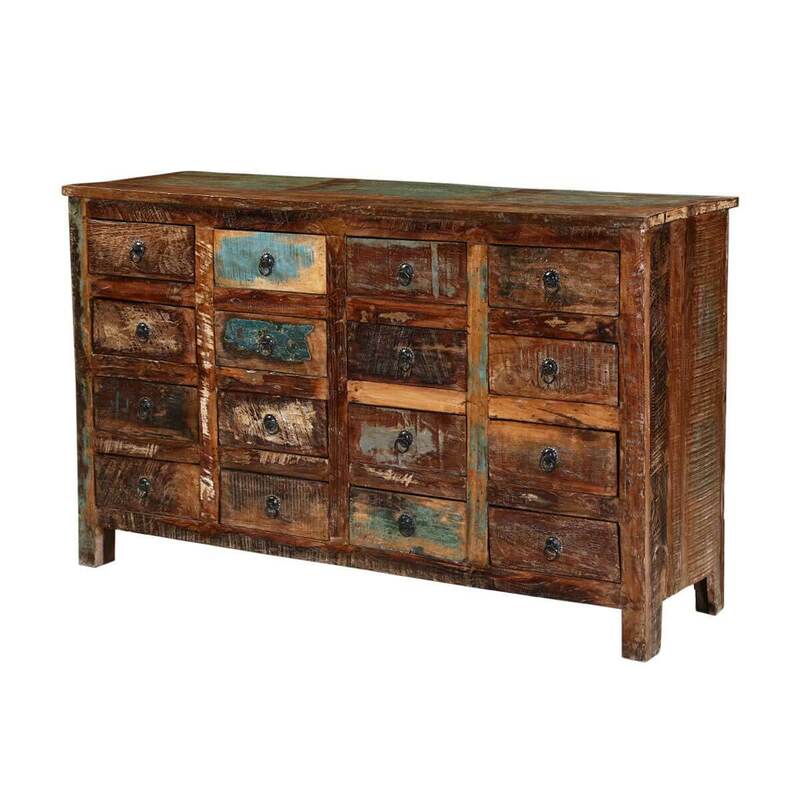 Our Appalachian Handcrafted Rustic Reclaimed Wood 16 Drawer Dresser Chest makes sorting and storing lots of stuff easy. 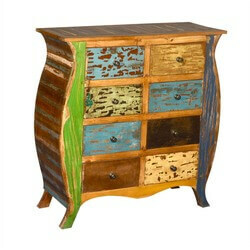 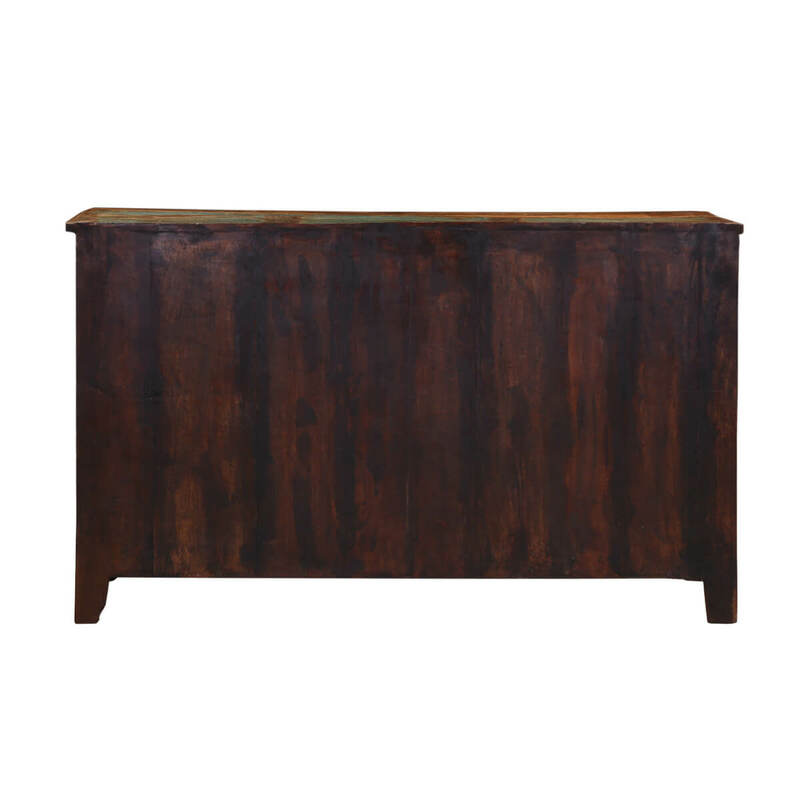 This hand crafted hardwood dresser stands off the floor on short legs. 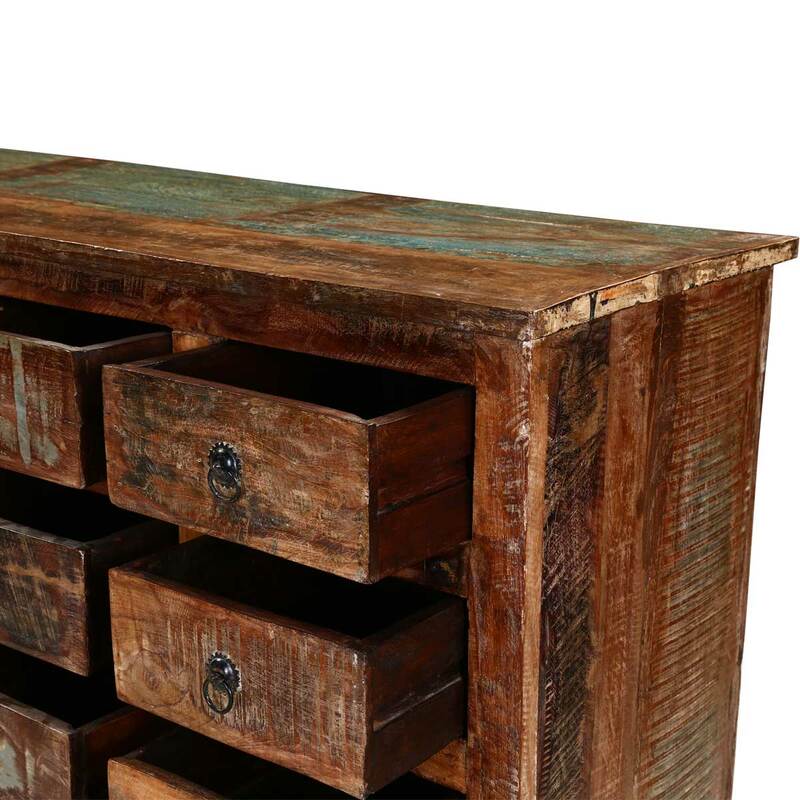 The cabinet top extends just slightly beyond the frame. 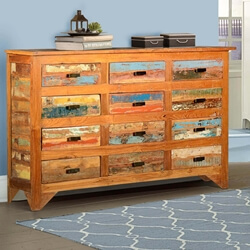 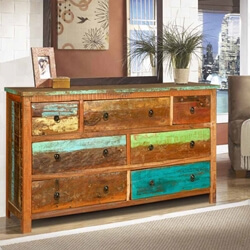 This multi-drawer bedroom dresser chest is built with reclaimed wood. 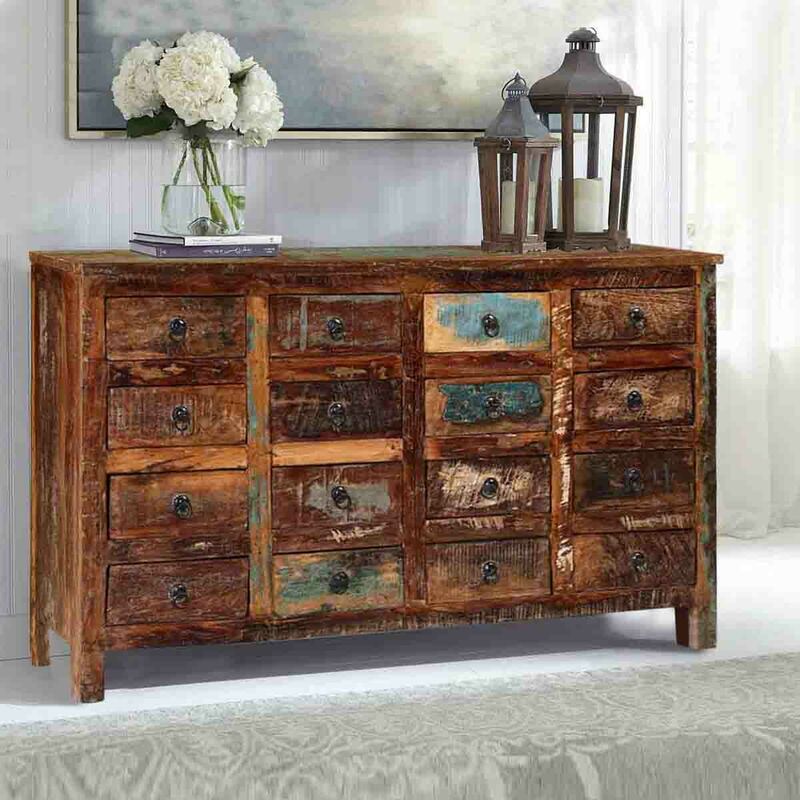 Old wood is naturally aged and we honor that process; no new paints or stains are added.